Here's a timeline of what I'm worked on personally and professionally in 2018 (inspired by Brian Hemeryck). Pushed myself past my comfort zone a couple times. Things I'm actively learning more about: SEO & SEM (the technical, how-to nitty gritty). Revisited my set from March 2018, added a couple more jokes and badda-bing. Matt and I do the Monday crosswords on the NY Times app (which are way, way too much fun, and we’re secret 80 year olds). On New Years’ eve we partied our butts off (read: beat our personal best puzzle time). Photo evidence to the right in case 7 minutes and 39 seconds is just too amazing to believe. Perhaps the greatest achievement of 2018. Incredible author and impressive researcher Mindy Johnson delivered a lecture at Emily Carr. She spoke about the women behind all the classic animation we know and love from Fantasia to Sleeping Beauty. Normally history’s presented to showcase Walt and other men, but Mindy’s telling the missing part of history. Watch for the documentary to hit Disney plus, and for her illustrated children’s book about the animators. Planning on going? The speaker lineup sounds pretty great from the sneak peek I’ve gotten. Looking forward to heading to Wisconsin for this in June! Officially launched a course with Skillshare. Months in the making, this project was a collaboration with the producers at Skillshare, and something I’m really excited to have been part of. Together we planned the course content, our teacher Ryan went to shoot in New York with the amazing Scott Sullivan and Alex Ginsberg, and as of this update there’s been over 1,000 students so far. Here’s the link if y’want to check out the course (and nifty landing page the talented Sabrina Chan built to promote it). Read: Calypso by David Sedaris. Went on a weekend road trip to Portland. Voodoo donuts and what I wish was an all-day visit to the legendary Powell’s book store. Would loved to have spent more time on the Bird electric scooters scattered through the city. (They gotta find a better way to dock those, but it’d be awesome to get some in Vancouver). 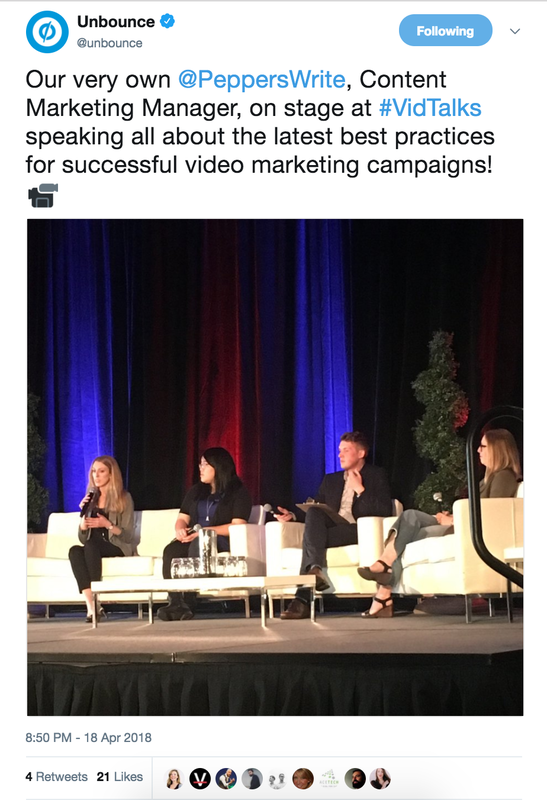 Thanks to Ryan Engley and Stef Grieser, I was invited to co-host one of the largest, most exciting marketing conferences in North America and represent the amazing Unbounce team in front of 1000+ marketers in the Queen Elizabeth Theatre. Despite pre-show jitters, I’m thrilled to have been up there next to my incredible colleague Ryan. He makes being a charming host look crazy easy! Read: Educated by Tara Westover. In May we began the hunt for incredible content creators, and in September, we got double prizes! Hayley Mullen and Colin Loughran. Can’t say enough about the two of them and the work we’ve been up to so far. Just look at that beautiful team behind this year’s CTAConf! Also: What would we do without Pablo’s selfie-stick arms? Lake Louise and the summit of Sulphur Mountain were highlights on an unforgettable trip. Reading: Circe (well, trying to read this. I may need to pick something new—any suggestions?). 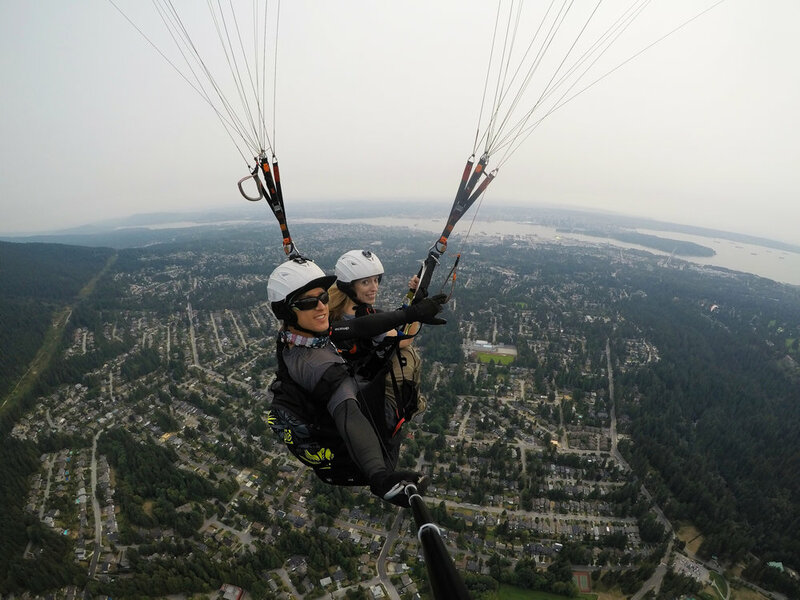 And lastly, went paragliding off of Grouse Mountain, an elevation drop of 3,300 feet. Had to psych myself up big time for this, but it was well worth the Tom-Cruise style run off the cliff for a birds-eye-view of Vancouver. I'll file this one under "pushed out of comfort zone". Prepared a session for Wistia's virtual conference, Couch Con. I'd been meaning to start sharing more marketing learnings, and creating more scrappy videos, and this was great for both. Huge thanks to Ty Lingley and Margot Mazur for extending this opportunity my way, and to Maggie Crowley for help confirming all the campaign details. Spent a morning talking shop on a panel hosted by Quietly. (See the photo on the right). 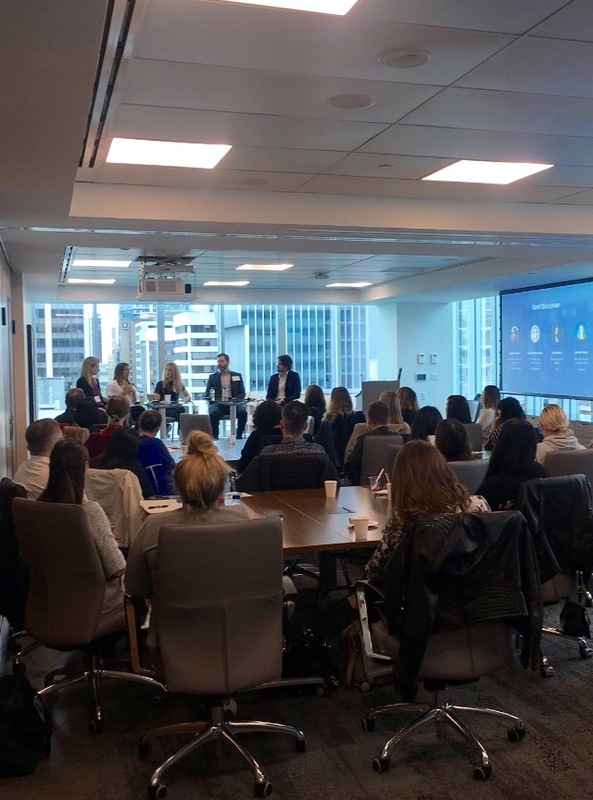 It was really fun to chat with other content managers from Sage Wellness, Hyperwallet, and MEC (they're all doing such cool things). Huge thanks to Quietly for inviting me to talk about Unbounce's content. Finished the ten week SEO/SEM course I've been taking. Whew, ten weeks was longer than I thought it'd be, I'll be honest. But I learned a lot to supplement my core SEO know-how and was really proud of our group's final presentation. We put together an SEO/SEM audit for Vancouver-based brand, AG Hair. Growing the content team at Unbounce with a new hire. If you or someone you know is a terrific B2B SaaS content marketer, check out the job description and apply. Read: Lost and Founder, by the incomparable Rand Fishkin (if you're into the startup scene, this is a great book. Covers the pros and cons of VC funding, as well as a really refreshing look into what it's like to run a business for the long haul). Thanks to our CEO Rick for giving a bunch of copies of the book to our team. Started a ten week SEO, SEM, and Analytics class at Brainstation to formalize my knowledge in these areas. Was a guest on Co-Schedule's Actionable Content Marketing Podcast. Nathan Ellering is one of the nicest people on earth. They've got a ton of episodes full of great advice I'm going to add to my morning routine. Read: Writing Screenplays for Fun and Profit (An awesome read if you're interested in how anything's produced in Hollywood. And let me tell ya, getting a screenplay produced is a freakin' miracle by the sounds of it). Took a four week Standup Comedy Class with Instant Theatre (I've always wanted to do this, and it was awesome).